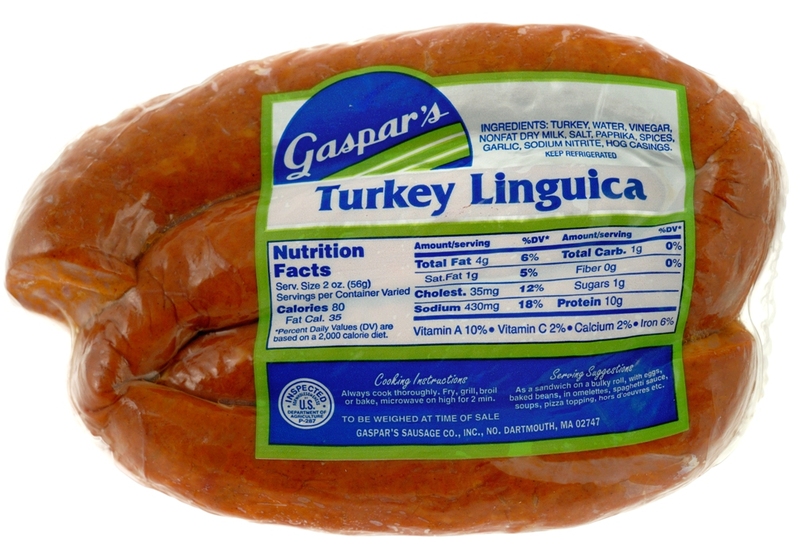 Home Turkey Products Gaspar's Turkey Linguica 1 lb. Serve as a sandwich on a bulky roll, with eggs, baked beans, in omelettes, spaghetti sauce, soups, pizza topping, and hors d'oeuvres. Turkey, water, vinegar, nonfat dry milk, salt, paprika, spices, garlic, sodium nitrite.